By now we can already feel the gradual change in the seasons as the days are getting longer, meaning you’ll need to start preparing your spring email campaigns. Getting ready for the new season isn’t something that’s relevant just for shoe, clothing and home renovation brands. Instead, you can use effective spring email campaigns for virtually any niche. But FYI: just remember to use our proven techniques on creating the best email subject lines. After all, spring is a time for new starts, about planning for the year, and especially getting outside the home after the long winter hibernation. Therefore, if you can tap into the common spring themes, you can probably find a way to wake up your sales as well. And there are still plenty more. So let’s look at the best performing spring subject lines, as well as the 9 best, most inspiring ideas for your spring email campaigns. We searched through more than 10,000 of our bigger brands’ 2017 Spring email campaigns to find out what the best, highest-performing subject lines are. Because we’re dealing with subject lines, we’re focusing mainly on which subject lines had the highest open rates. Then, we’re also looking at the click rates for each spring subject line. Find out what the highest-performing Spring subject lines are so that you can improve your ecommerce results. As we mentioned before in our regularly-updated Black Friday subject lines guide, it’s important that you include the holiday or season (or references to the holiday or season) in the subject line clearly. That way, you’ll quickly grab your visitors’ attention. Find out what the highest-performing Easter subject lines are so that you can improve your ecommerce results. As we can see here, Easter is everywhere—and the click rate is absolutely great. 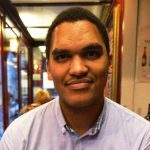 While usually ecommerce merchants think that you shouldn’t use ALL CAPS in the subject line, the results say differently. Just because it works for one business, doesn’t mean it’ll work for you. But the opposite is also true: just because it doesn’t work for one business, doesn’t mean it won’t work for you. Find out what the highest-performing Mother’s Day subject lines are so that you can improve your ecommerce results. With Mother’s Day subject lines, we see, again, that what merchants would consider no-nos (putting discount percentage, plus FREE, plus text-emoji) actually worked here. A 32% open rate (plus great 5% click rate) means the subscribers were interested and eager to engage. 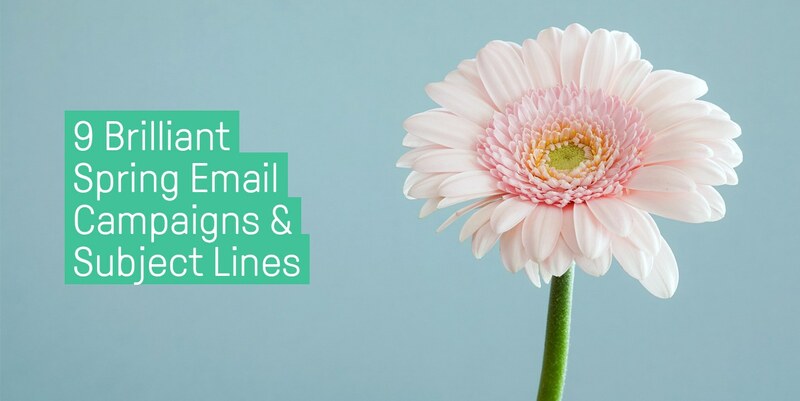 When you’re creating your Spring-themed subject lines, don’t hesitate to try out many different things and see what works. 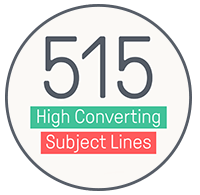 Get the ultimate list of 515 High-Converting Subject Lines (that will superpower your next campaign)! Jam-packed with top subject lines for your next campaigns, including: Black Friday, Christmas, Father’s Day, Mother’s Day, Spring, Memorial Day, Valentine’s Day, and much more! Delight your subscribers on the first day of spring and invite them to shop for the most important or fashionable products for the new season. Tell them it’s a great occasion for them to update their wardrobes, tool shed or other categories. Have you seen the NordStrom newsletter? You can see how nicely the dresses are highlighted. The ladies in the newsletter seem gentle, youthful and fresh—just like spring. It is attractive, interesting and desirable. But just make sure you’ve got a great Spring theme going on in your email communications. Congratulate your subscribers (after you’ve segmented your women subscribers first) and remind them to spoil themselves. Try to be more emotional, as this is a day to celebrate the political, economic and social achievements by women. The right image, an incentive or even a famous quote can come in handy. This will be more related to building up your brand, rather than using the particular email to increase your sales. In your business, you should always have a mix of long-term and short-term strategies and tactics. But don’t forget to add free shipping! Combinations of clothing, shoes and accessories are trending at the moment. People love it when someone offers stylish ready-made combinations. Use them! 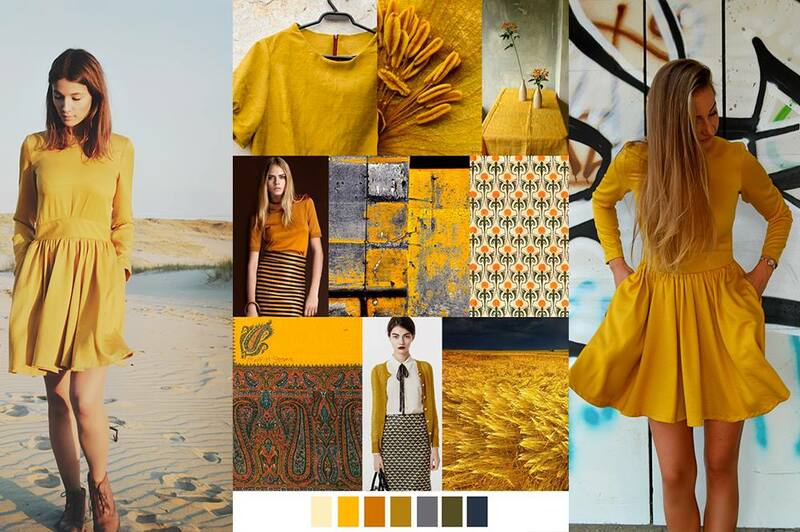 According to this season’s trends, create combinations with your store products. In this way you will create value for your customer as well as promote your products. Since you have the combinations ready, you can use them in your emails and social media. You can also save them as a .pdf file or presentation, e.g. “Fashion guru tips”, and publish them on your store. You can also look for an interesting interview with a “fashion guru” or celebrity talking about the season’s trends. Embed this video on your site and write about it in your newsletter. We’ve written about how video effectively increases click rates earlier. The purpose is to find more occasions to direct your subscriber to your website. A great example is the recent Asos.com newsletter. Do you have leftover items you could sell to make room for new arrivals? Dedicate a week for a final sale, if you still haven’t done it already. Consider sending campaigns of 2-3 emails. 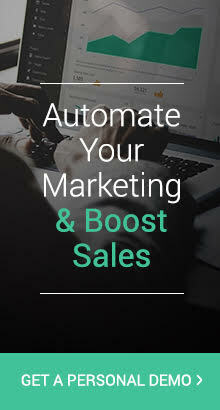 Highlight the sale in the subject line and preheader. If you give discounts for all your goods, you already have a clear message (“all stock on sale”). However, if the sale is going to be only for particular items, how do you know which one to highlight? Show those items that generated the most interest in your store. They will drive direct traffic to your online store and help customers discover less popular stuff. Omnisend (previously Soundest) users can send a Scratch Card to their subscribers. It is an interactive email feature that doubles or even triples the click rate. Announce a lottery with a defined number of winners and let your subscribers scratch for the prize—such as a discount, free shipping, or something from your store. Hide an inspiring quote that makes your subscribers smile or visit your store and buy something for themselves. As an alternative to Scratch Card, try our high-converting Gift Box. The settings of the Gift Box enables you to control the number of giveaways that you want to share. If you are familiar with the Omnisend Scratch Card, a Gift Box setup will look the same. Besides our Scratch Card and Gift Card, you can also try to use traditional lotteries and contests. St. Patrick’s Day is getting more and more commercial every year. Along with Ireland, all English speaking countries more or less celebrate this day by wearing green and organizing parties. 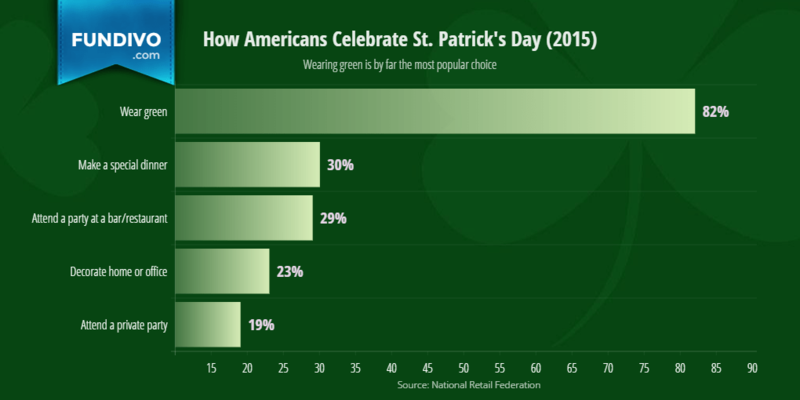 In the USA, 52.3% of the population celebrate St. Patrick’s Day and in 2017 they spent $5.3 billion. This is one more occasion in which you can send an email to your subscribers. If on the St. Valentine’s Day people buy red items, on St. Patrick’s Day green is king. Just look at the chart below at what people do on St. Patrick’s Day. 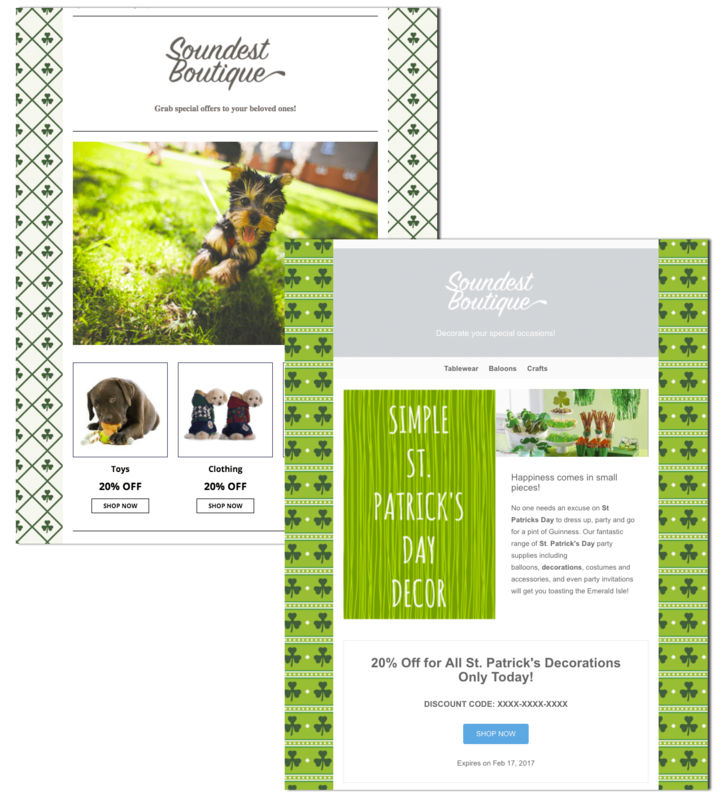 For a fresh-looking email design, you can also try one of Omnisend’s many email backgrounds dedicated to St. Patrick’s Day as well as our beautiful email templates. Update your signup pages and pop-ups. Change the colors and the copywriting, and this will help you boost new sign-ups for your spring email campaigns. Don’t forget that after your subscribers click on your links, they’ll be going to your store. So that means you can’t have those winter clothes and snow-boots on display any more. Give your website a spring cleaning as well. That way, you’ll be able to carry your happy, springy mood all the way through from your emails, to your website, to your checkout counter. This is also a great time for you to put forward your big-ticket items. After all, beginning in March, people will have already received their tax refund checks, at least in the US. By mid-April, many people will be getting their checks in the mail. With the average refund check coming in at more than $3,000, it’s a good time to put forward your big-ticket items. For the most part, everyone loves their Momma. This is a big holiday, where grateful children, husbands, brothers and fellow sisters show their appreciation for the mothers in their lives. And of course, while flower shops will be dominating this holiday, you can relate your own products to Mother’s Day. Mothers enjoy electronics. And clothes. And shoes. And movies and games. Just make sure to focus on your own customer profiles, what women (probably aged 25+) enjoy. There’s a chance that they’re mothers, and you can use this to find what’s most popular with that group. Then promote those products to all your customers, making sure to include related themes, images, and wording to really promote this special day. SEO Discovery’s Gurbir Singh agrees 100% and says there are lots more ways to get your brand involved in this holiday. If you’re on Shopify and looking for even more great marketing tips, check out Prisync’s fantastic blog post about the 10 best Shopify Marketing Tactics. Great article as always, Omnisend team! Deep insights, useful data and informative tips. I really liked the point about creating valuable product combinations that will create value to customers and increase sales. It will help with my spring campaigns a ton this year. Awesome post. Thanks for sharing such a nice article. This post came out really thorough with lots of helpful tips from all kinds of pros. It’s an interesting read, regardless of what area you work in. Great post! Really helpful and interesting ideas, thanks for sharing.